This wonderful state has so much to explore, deserts, spa towns and cities, western culture and let’s not forget, The Grand Canyon! All of our American road trips can be tailored to meet your requirements. 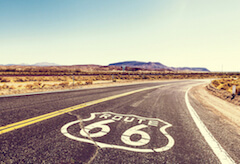 Do you have more or less than 12 days for your road trip? No problem, we can bolt on extra nights to allow more time to explore or shorten the number of destinations as required. Just let us know when requesting your quote. A full day to recuperate at your leisure, spend the day by the pool or in one of the numerous spas located in Scottsdale. Want to start exploring already? 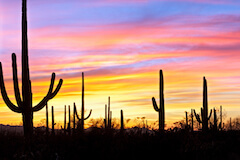 Then the Greater Phoenix area has lots to offer, one of our favourite activities is to take a hot air balloon ride as the sun rises over the Sonoran Desert. Remember, you'll be supplied with a detailed Road Trip Pack which will inform you of all the sight-seeing options available in the area. Do as many or as few as you like, or just stay by the pool if you prefer. Keen to stretch your legs in Scottsdale? Here are some of our top suggestions of things to see and do. 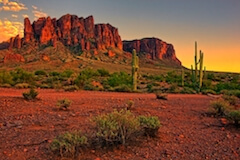 How about horse riding in the Sonoran desert? It's a great way to get up close to this peaceful environment. Beautiful Papago Park, red rocks, botanical gardens and a zoo. Or maybe some art & culture such as a visit to Scottsdale's Museum of the West or Frank Lloyd Wright's winter home Taliesin West. 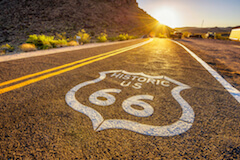 Included in your Road Trip Pack you'll find plenty of detailed suggestions about what to do and see on route. 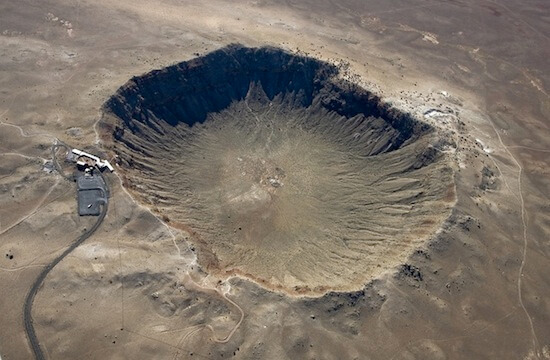 One of our favourites is the Meteor Crater near Winslow in Arizona. El Morro is a detour worth considering too to see 'Inscription Rock', a large sandstone pueblo where travellers since the 17th century have left messages. This vast park is located in Chinle Arizona, A National Monument containing fascinating archeological sites. The Puebloan people built their homes into the cliff walls and these dwellings are very much in evidence today. You can enjoy rim drives and hikes such as the popular White House Trail. As with all of the destinations on the tour, this is a great place to visit year round and a lovely trip to consider taking in the winter months. 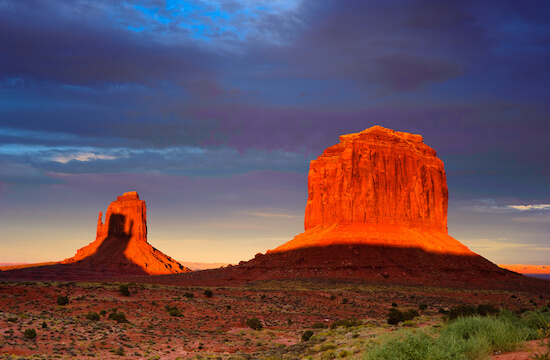 Heading north today, a short drive will have you arrive with plenty of time to enjoy Monument Valley. There are guided tours, jeep tours, horseback riding or if you want to kick back and relax, sit back and take in your surroundings. 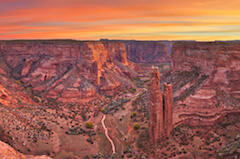 The iconic rock formations of "The Mittens" from your hotel room or cabin at "The View Hotel" are a pretty special panorama that can only be improved by adding the sunset. 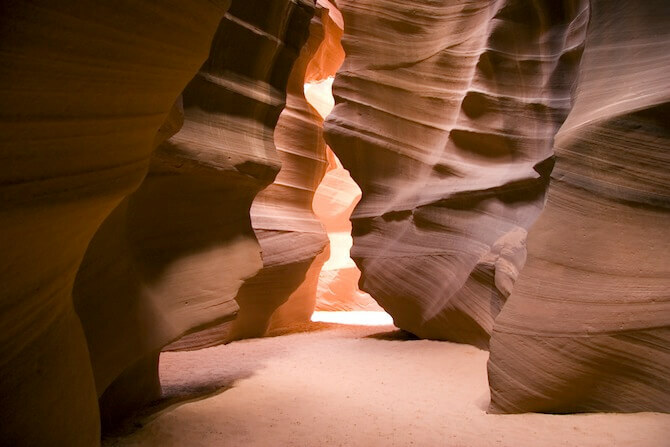 Antelope Canyon includes two separate, photogenic slot canyon sections, referred to individually as Upper Antelope Canyon or The Crack; and Lower Antelope Canyon or The Corkscrew. Make sure your camera has plenty of room for photos - this is the most photographed slot canyon in the southwest of America. 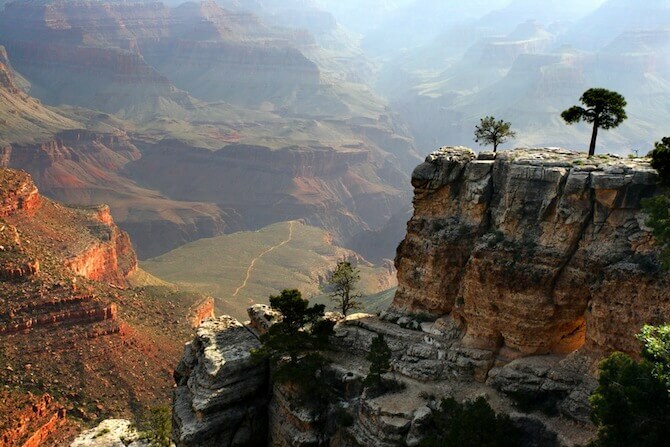 Be amazed at the awesome Grand Canyon! The worlds largest and most well known geological wonder is just staggering. Two billion years in the making, the Colorado River has forged a mile deep, 18 miles wide and 277-mile long gauge into Arizona. Following our routing, you'll stay at the South Rim which has the best facilities for viewing the canyon. Sedona lies to the south of the Grand Canyon and is surrounded by multi-hued red stone formations which rise up from the desert floor. You have the super difficult choice today between relaxing in your luxury resort, visiting one of the many State Parks found in the area or maybe you'll even opt to take an adventure tour. 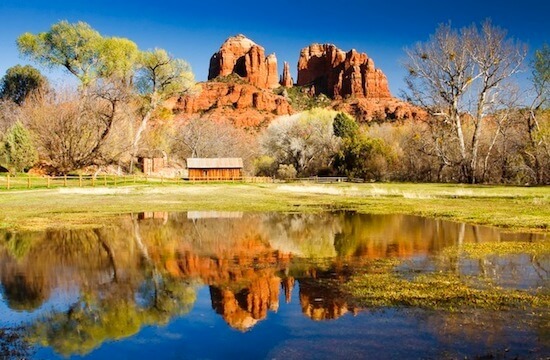 Often voted top in lists for Most Beautiful Places in America, it's easy to see why Sedona is so popular. Sedona feels like a mini national park, nestled in a spa town. Why not indulge in retail therapy or a spa treatment, hiking and biking, or how about a Jeep, ATV or Segway tour? This place has something for everyone. A third day surrounded by the stunning scenery of Sedona, it's easy to see why Sedona is such a popular place with the rich and famous. 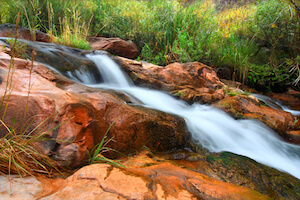 Celebrities are often spotted here, and some choose to make Sedona their second home. Your last evening in Sedona, tomorrow you'll take the short drive back to Phoenix for your flight back to the UK. We can always add longer though, why not make this a 14 night trip, it's up to you. Our friendly Road Trip Expert's can guide you through where to add in more time based on your interests. 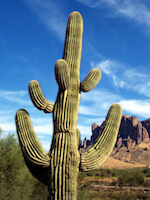 Don't forget to check out this road trip's Itinerary tab to see more amazing pictures from our 'Amazing Arizona' tour. You'll also be able to read a little bit about what you'll be getting up to on each day of this incredible road trip adventure.